Before a video can be streamed with DSS the file must be hinted and then exported to the server. 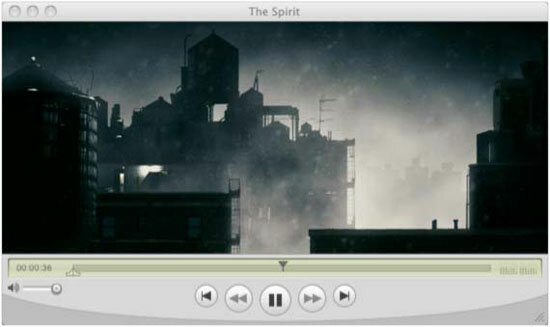 Without the video being hinted streaming the file can be unpredictable and suffer a loss of sound. I bought QuickTime pro for £20 GBP, however the same process can be achieved using ffmpeg and mpeg4ip described in the next section. 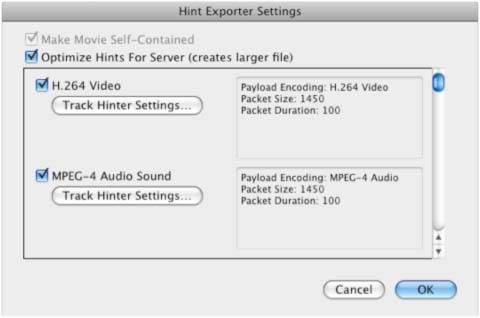 Open the video in QuickTime Pro then go to File > Export and select Movie to hinted movie shown below. Save the file and upload the file to server. Move the file to /var/dss/movies; open QuickTime and select File > Open URL and type rtsp://192.168.0.110/movie.mov and the file should stream. Encoding Video with ffmpeg and mpeg4ip seems to work just as well and is free. ffmpeg has far more features and I prefer using this method so I can script the encoding at night. It may be recommended to encode on a seprate server with less load depending on your situation. ffmpeg -y -an -i movie.mp4 -v 0 -ss starttime -t 0.001 -f image2 "thumbnail.jpg"
Move the newly created mpeg4 file to /var/dss/movies and open QuickTime; select File > Open URL and type rtsp://192.168.0.110/movie.mp4 and the file should stream. This tutorial worked great for me. Although I'd prefer Opensuse over CentOS, I set up a server, following these instructions and it worked out of the box. The hinting routine described above can/needs also be used for streaming 3gp files. I have checked and made sure the firewall and SELinux were both off. Does anyone have an idea what was wrong here? The problem may be if you are using NAT to access your server from the internet. I had the same problem and then spent a day or two learning more about hinting. Once I started to correctly hint my mp4 files everything seemed to work. I have followed this instructions and the install worked brilliantly. But when trying to stream the sample videos I got "Not Found" message on Quick time. I did google and found several people encountering the same problem. Any ideas why this could be happening? I have the same error occurs. this command is not running in my PC. could anyone please give me any solution?